Looking for another way to eat those mashed potatoes? 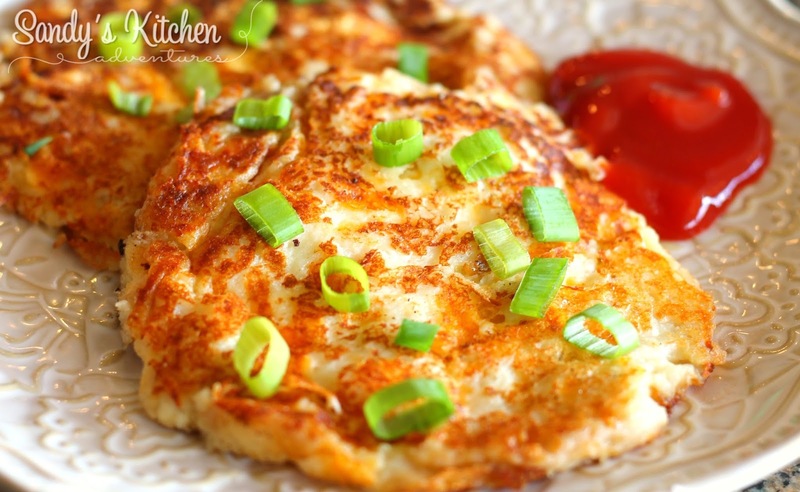 These are really yummy and makes the plain old mashed potatoes just a little bit more exciting! They are slightly crispy on the outside, but still has the soft creamy texture of mashed potatoes on the inside. I added 1/4 cup of reduced fat cheese, but it isn't necessary. I just happen to think cheese makes everything better! You could also add 2 tsp of Kraft grated parmesan cheese (2/3 Condiment) if you are looking to jazz it up without using your Lean. Both ways are delicious! When you combine the ingredients, it will look runny. Don't worry! It will thicken up! Just let it sit for 5 minutes. 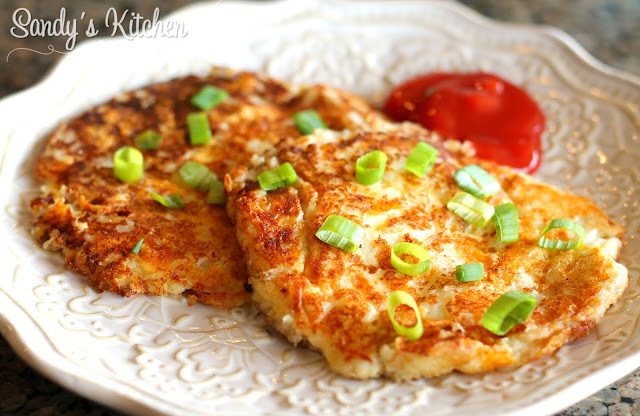 Pour the mixture in the skillet and enjoy these yummy potato pancakes! Combine mashed potatoes, baking powder, water and cheese. Let stand for 5 minutes so mixture can thicken up. Lightly spray a cast iron skillet with cooking spray. Spoon mixture onto skillet forming two pancakes. 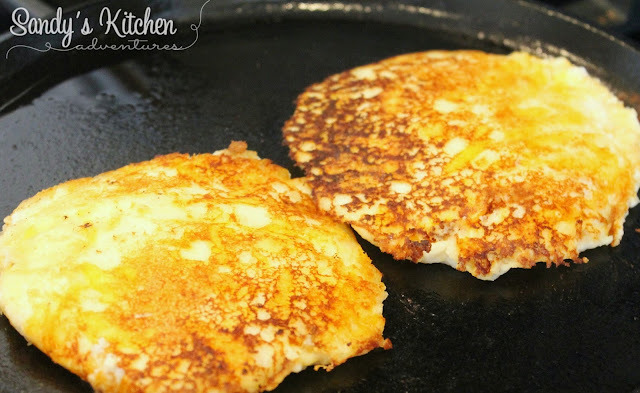 Cook for a few minutes and then flip the pancakes to cook the other side. Serve with a tbsp of reduced sugar ketchup or 2 tbsp sour cream! OMG these are so delicious! These are comfort food at its best!! They feel much more filling than prepared by package directions.